High-capacity Battery System with 18650 Lithium Ion cells from Samsung. 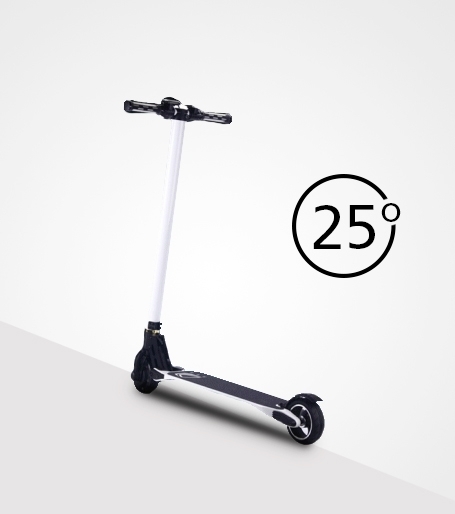 Travel up to 20KM on a single charge. Easily carry it up on public transport. 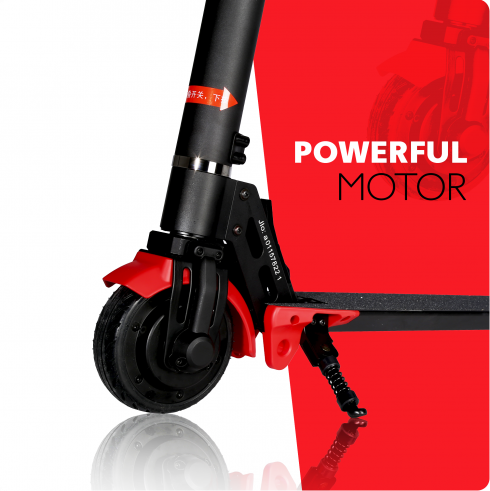 The powerful German brushless motor built into the INFINITY Electric Scooter more than makes up for its compact size, allowing it to accelerate up to 25km/h. 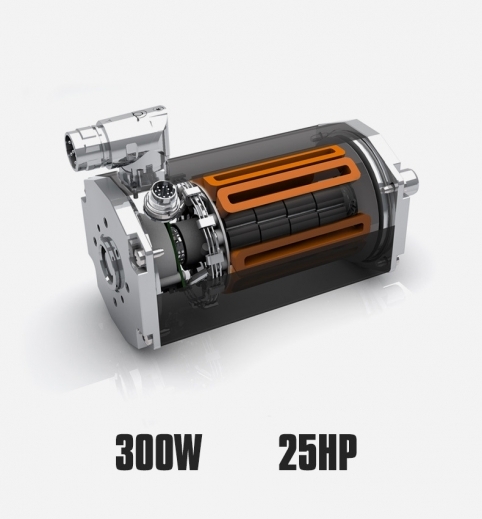 300W of continuous power output and instantaneous output of 500W gives you power when you need it the most. 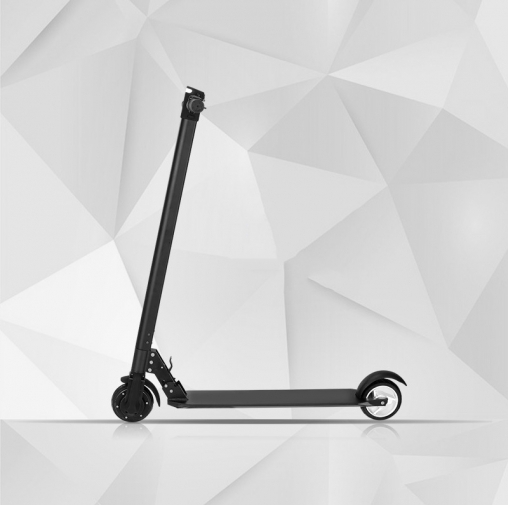 One of the biggest innovations in the INFINITY Electric Scooter is the battery construction. 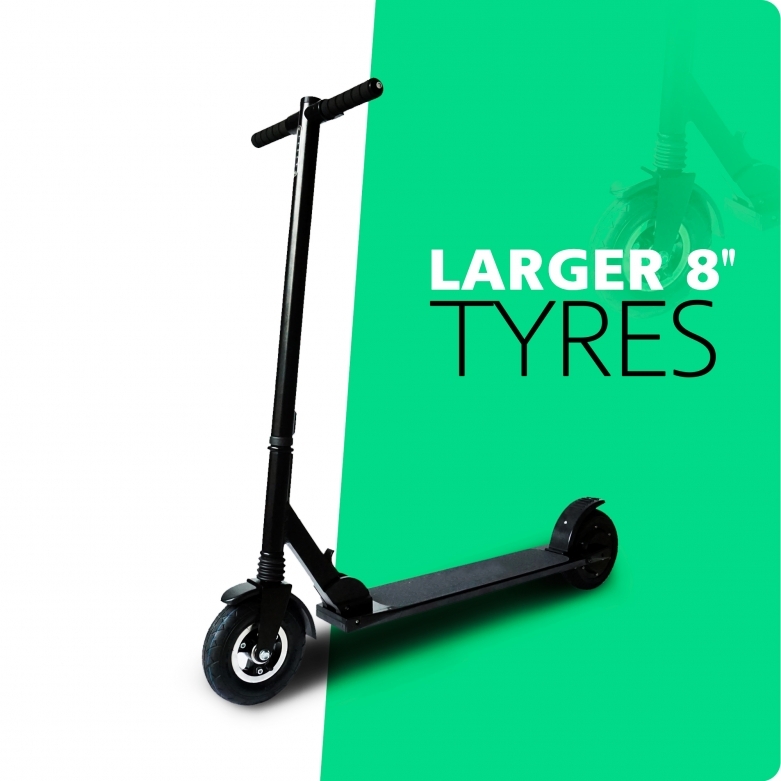 For the first time, a high-capacity battery system is built right into the front steering tube of the electric scooter. 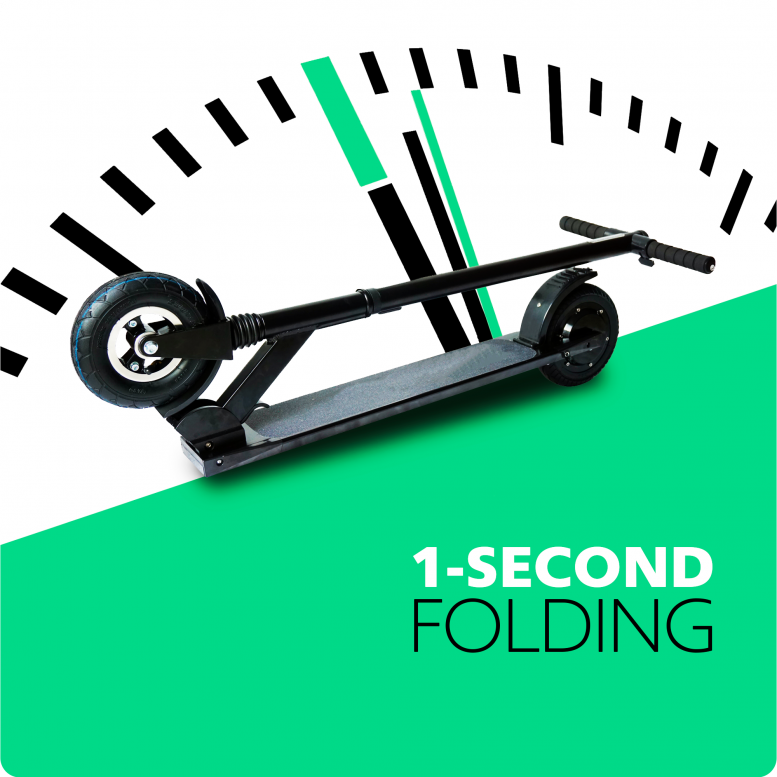 Rigorous engineering ensures that the scooter is well-balanced when riding. 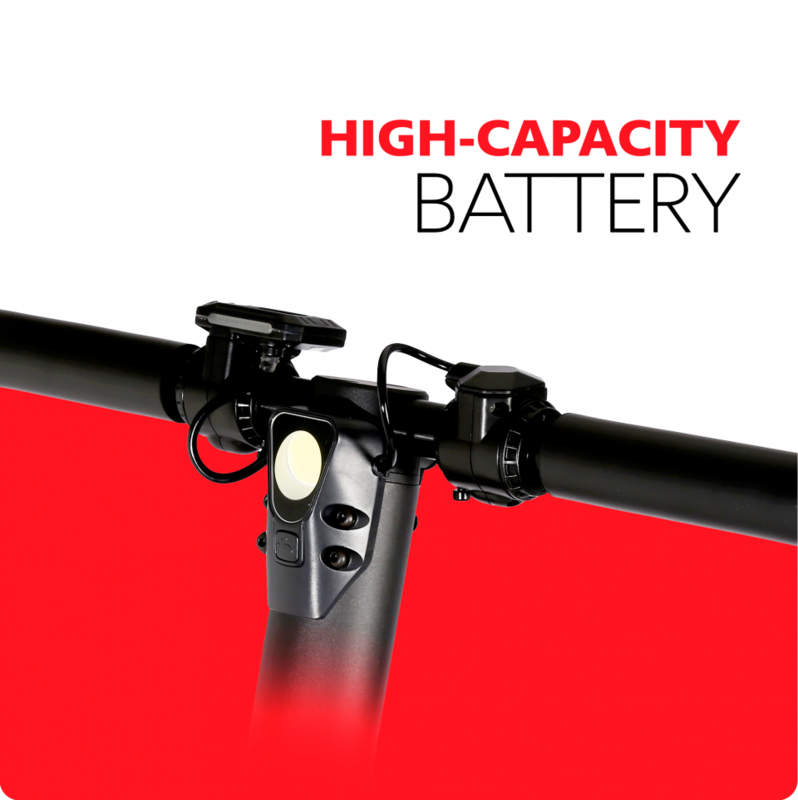 On a single charge, the battery lasts up to 20KM (North to South of Singapore). 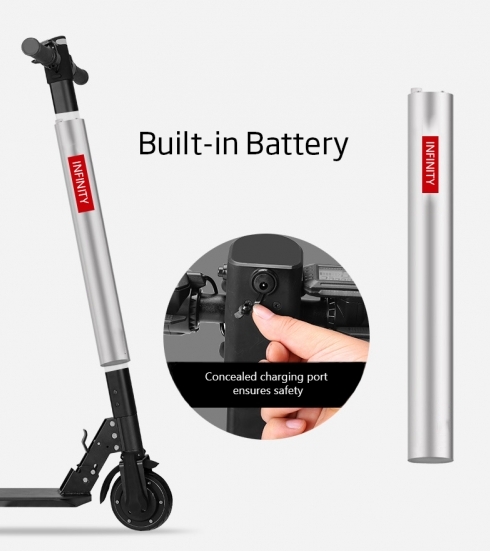 The 18650 lithium ion battery is safe and powerful, paired with a smart BMS (Battery Management System), you need not worry about overcharging. 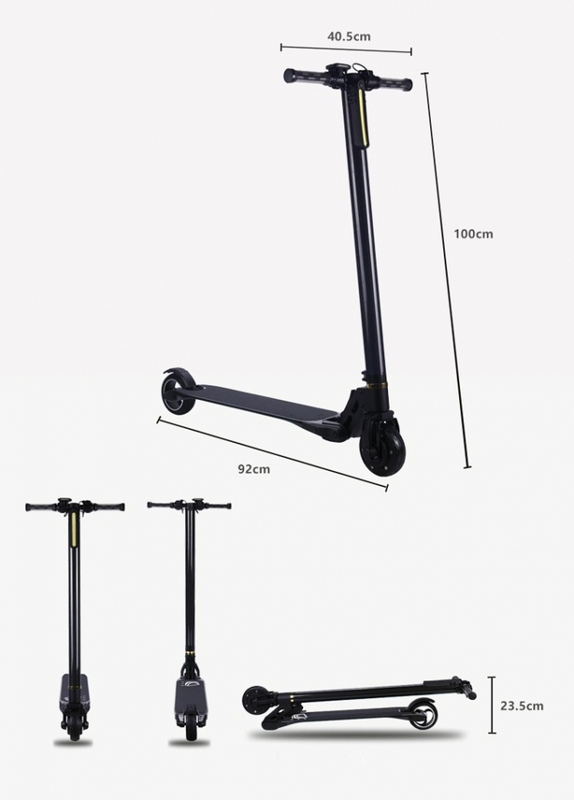 Regenerative brake for front wheel + Emergency brake for back wheel. 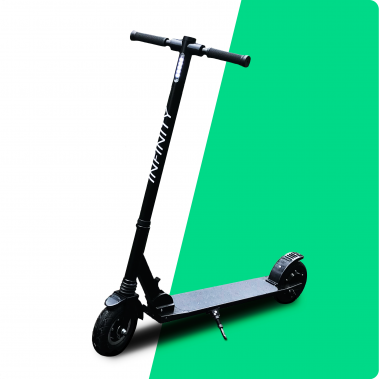 The Regenerative brake, when activated by the spring-loaded thumb throttle, smoothly decelerates the scooter. 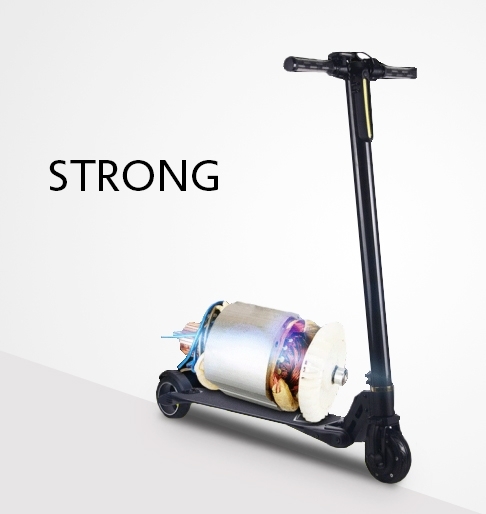 The friction generated by the braking is channeled back to charging the battery. Giving you an even longer riding range. 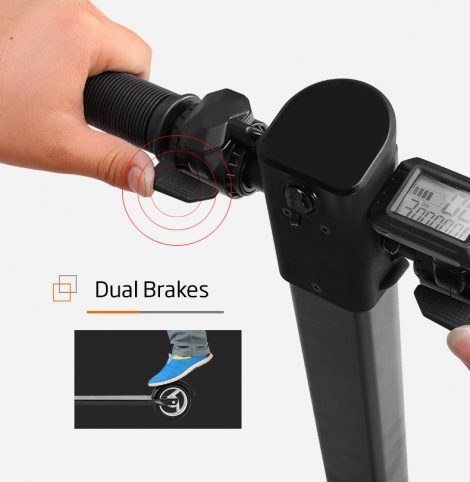 The Regenerative brake can be activated when the scooter is moving (after accelerating using the thumb lever on the right). 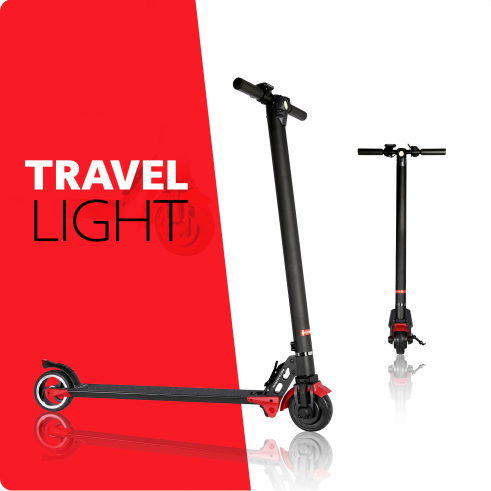 The Smart Backlit LCD Display is integrated with the accelerator, giving you complete control over the scooter with just a few buttons. 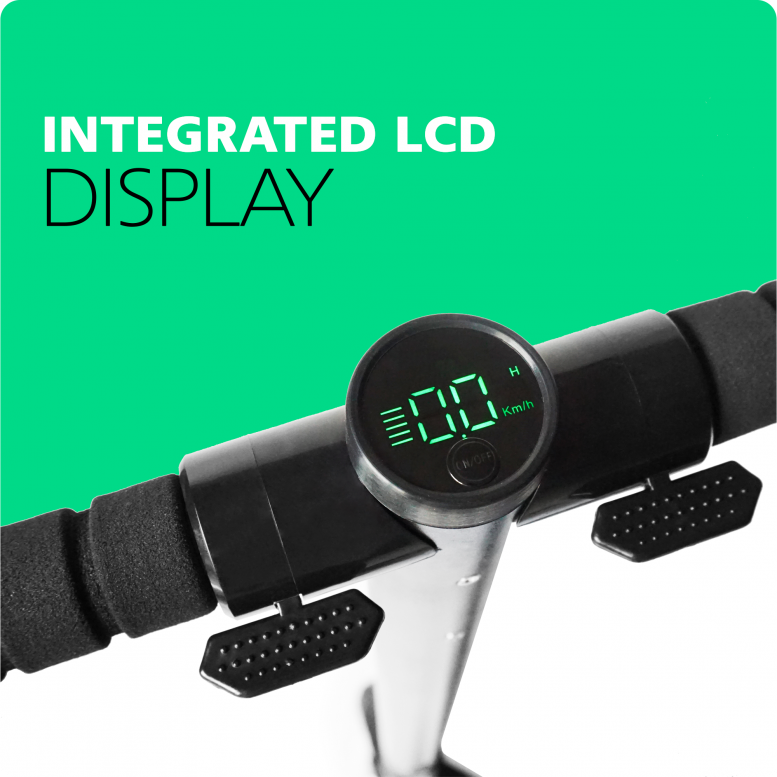 You can view the Speed, battery level and mileage on the display. 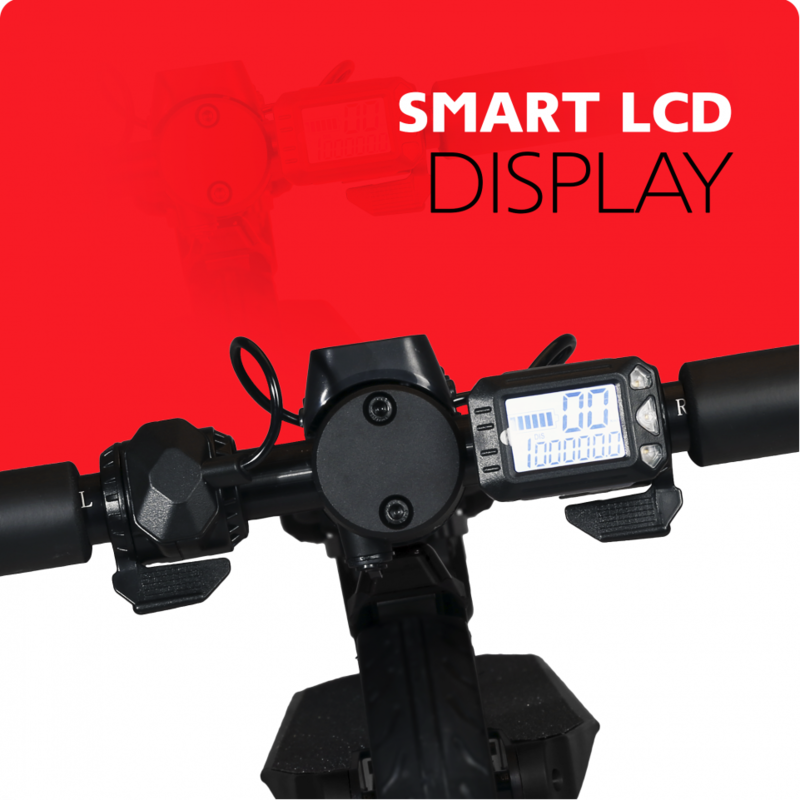 The buttons allows you to set different speed modes (slow, medium, fast) and change display mode (show speed/time/distance traveled). 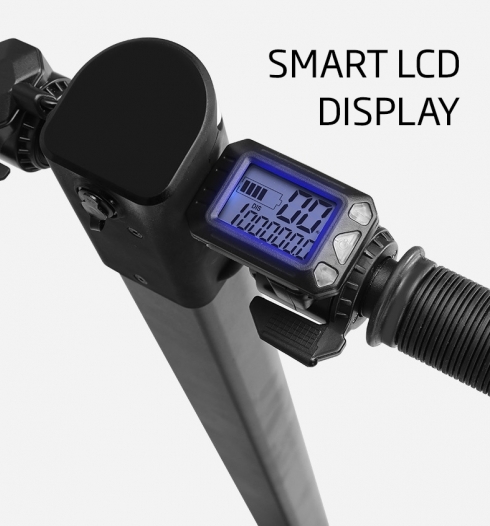 Since the display is backlit you can easily view the information even at night. 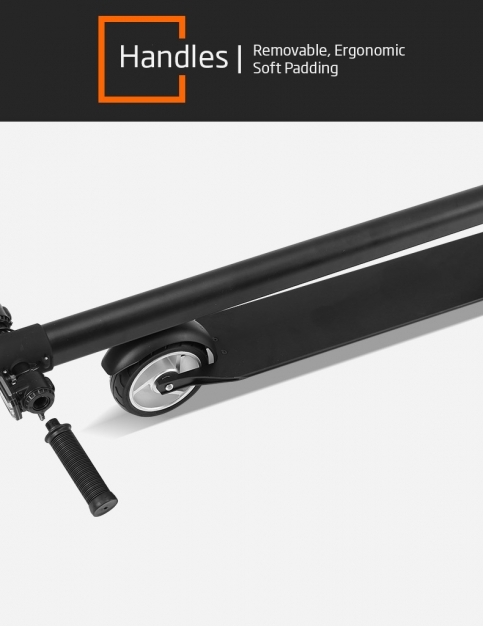 The lever below the display is the accelerator, which moves the scooter forward. The acceleration depends on how hard you press the lever. 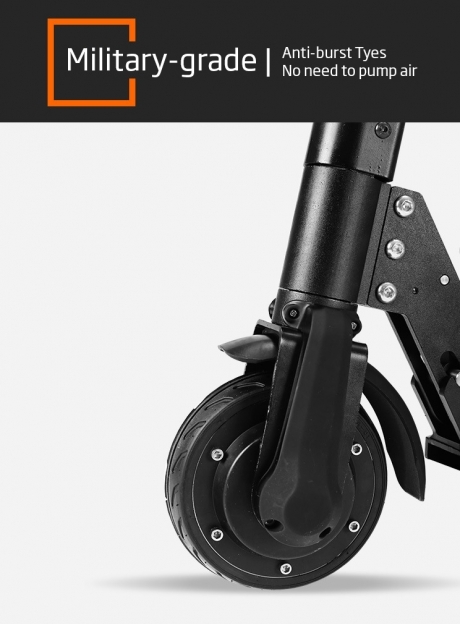 A kick-start function is built-in for safety, kick off the scooter to a rolling start before you press the acceleration lever. 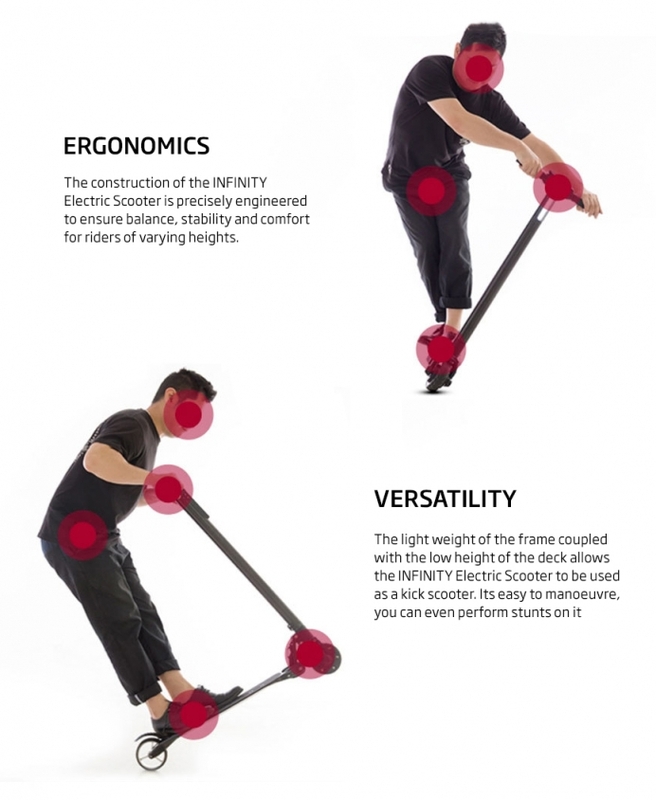 Q: Can I view/test ride the infinity electric scooter? 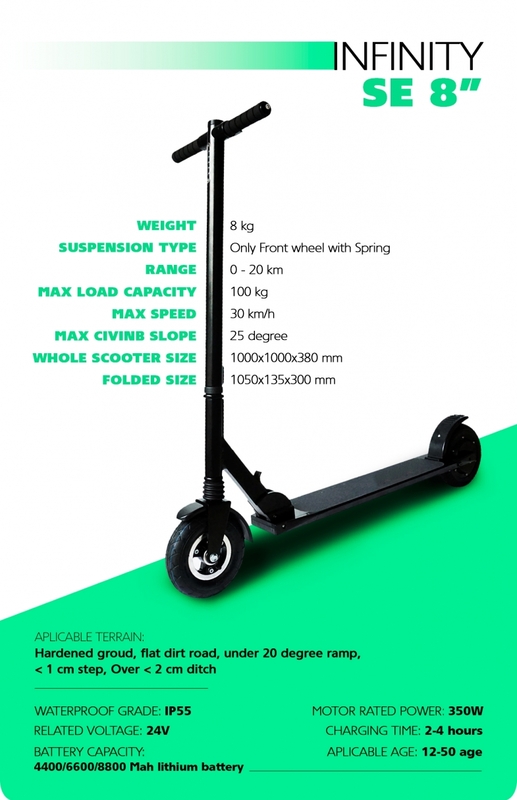 Q: How do I go about ordering the INFINITY Scooter? Note: Riders must obey traffic rules and regulations. 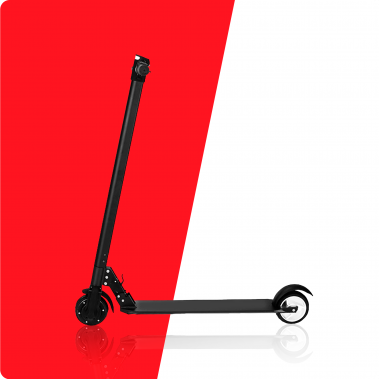 Riders must exercise discretion & caution when riding and take full responsibility of the possible consequences of using the electric scooters- we are not be liable for any injuries, losses, or any other unfortunate incidents to anyone that may occur as a result of using the Escooter. 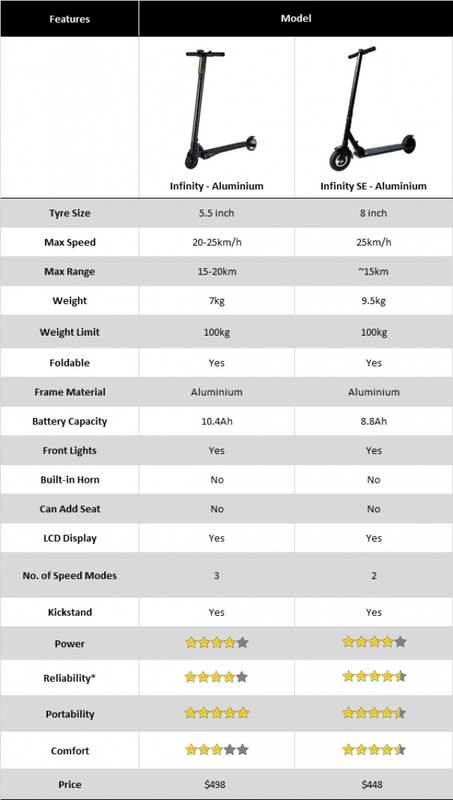 Q: Does the Infinity electric scooter require any assembly?